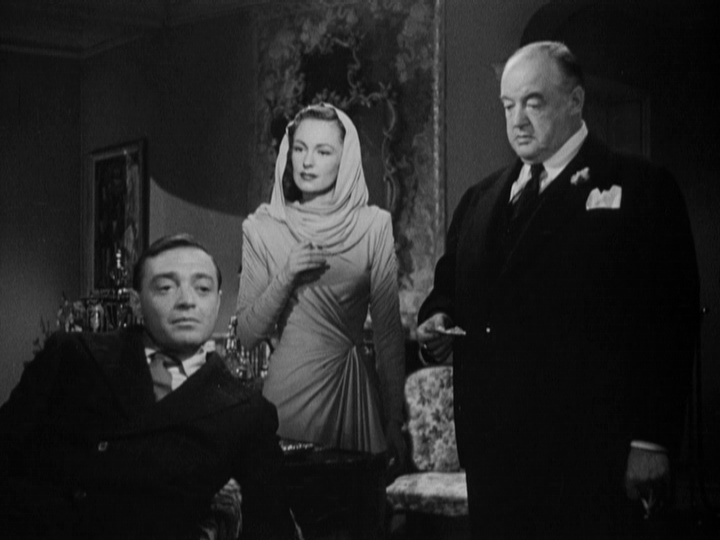 On Chinese New Year, three strangers — a socially-aspiring attorney (Sydney Greenstreet), the wealthy wife (Geraldine Fitzgerald) of a philanderer (Alan Napier), and a petty thief (Peter Lorre) — share in the outcome of a lottery ticket after praying to a goddess of fortune. 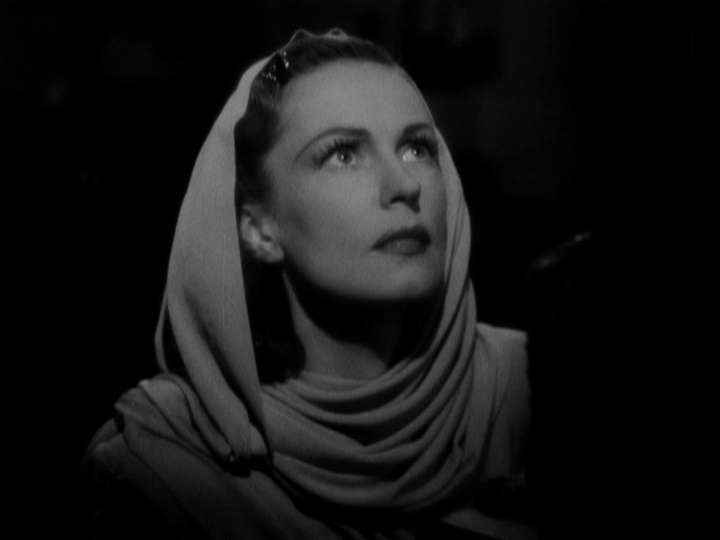 Jean Negulesco directed this atmospheric, fast-paced thriller, based on a script by John Huston and Howard Koch and featuring Maltese Falcon (1941) co-stars Sydney Greenstreet and Peter Lorre (as well as luminous Geraldine Fitzgerald, who seemed to specialize in playing women with a potentially loose screw). Huston and Koch’s tight screenplay intrigues and invites from the very beginning; we’re held captive throughout, wondering what will befall each of our hapless, all-too-human protagonists. There’s really not a false step taken here, with uniformly strong performances, atmospheric cinematography (by Arthur Edeson), and a satisfyingly ruthless screenplay, complete with potent character names (“Crystal Shackleford”, “Icey Crane”, etc.). Enjoy this one! Note: Warner Brothers teamed Lorre and Greenstreet in one other title — 1944’s The Mask of Dimitrios, also directed by Negulesco and listed in Peary’s GFTFF. Yes, as a most enjoyable sleeper. A very much recommended once-must (though those who take to it will most likely want to give it another go at some point). ~an interesting observation when you think about how people can train themselves (sometimes inappropriately) while developing film habits. ‘Three Strangers’ is a film that doesn’t need a star (essentially, the plot is the star) but it seems there are viewers who look to a leading character or leading couple set as ‘the person(s) they are supposed to follow’ in order to have a guide through the film – a kind of reference point which most often acts as a kind of ‘moral compass’. ‘Three Strangers’ also has no moral compass, per se. It’s a film about the dark side of human nature – and about desperate outsiders (typical John Huston territory).